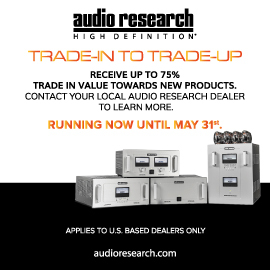 Furutech, a Japanese audio company established in 1988, has been described as a maker of audio accessories: high-end power and speaker cables, car-audio cables, RCA connectors, etc. I’d never used anything made by them; as I browsed Furutech’s website, their products look to be of very high quality, and fit into a very narrow niche of high-end audio. Recently, under the Alpha Design Labs by Furutech brand, the company has launched affordable headphones and related electronics such as headphone amps and DACs. Their latest such product, and the subject of this review, is the ADL Esprit USB DAC, which builds on ADL’s successful GT40 24-bit/96kHz USB DAC with headphone amplifier by adding a preamplifier section. At a retail price of $899 USD, the Esprit looks to be a versatile component that could find its way into the homes and offices of many audiophiles. The ADL Esprit is housed in a simple, all-black, all-aluminum case that exudes quality. The faceplate of this compact (6”W x 2.25”H x 5.5”D) USB DAC is dominated by two knobs of silvery machined aluminum: on the right, a high-quality analog volume control, well damped and smooth; on the left, an input selector (Line 1, Line 2, USB, Coaxial, Optical). Between these is a 0.25” headphone jack. To the left of the input knob are: the Power button; a three-way toggle switch for selecting 0, 6, or 12dB of attenuation; and an LED labeled Clip Signal. The latter two are useful if you want to record an analog or digital signal on your computer’s hard drive in 24/96 PCM via USB. Around back, terminated with sets of Furutech’s own robust, PTFE-insulated RCA connectors, are, from left to right: two line-level inputs, a line-level output, a digital coaxial input, and an optical input. On the far right is an optical out, and a USB type-B port for input/output, to connect to your computer to play or record music files from or to your hard drive. The only low-end aspect of the ADL Esprit is its power supply: a 12V DC wall wart. This is surprising, considering all the beautiful power cords Furutech makes. I would have preferred to see a better power connector, such as a cord with an inline transformer; wall warts are sometimes hard to accommodate in a power center. Fortunately, the Esprit’s wall wart is slim enough that most surge protectors and power bars should have enough room for it. Inside the ADL Esprit are a 24/192 Wolfson 8716 DAC chip and, for the line-level sources, a 24/192 Cirrus Logic CS5361 ADC chip. Furutech claims that the Esprit has 114dB of dynamic range, an excellent measure by any standard. Music files of resolutions up to 24/96 can be played via the USB connector. The coaxial or optical S/PDIF connectors are compatible with resolutions up to 24/192, but there’s a catch -- you need to set a slider on the back to 96 or 192kHz. One cool feature that I didn’t explore is that the optical output is also compatible with Dolby Digital or DTS playback. I can see this being useful if you use a computer for everything -- when you play movies, you can pass DD and DTS signals through to your surround-sound system. I used the ADL Esprit in a minimalist system consisting of Monitor Audio Silver RX6 speakers and a Bel Canto Design e.One C5i integrated amplifier. I connected the Esprit to the Bel Canto’s analog input, which I then switched to home-theater bypass mode; this way, I would use the Esprit to adjust the volume. Essentially, I used the Bel Canto C5i as only a power amp, and the ADL Esprit as a preamp and DAC. As with all things Windows, setting up the ADL Esprit took a bit of time. You first go to the ADL website and download the driver package, which contains both 64- and 32-bit drivers and a driver compatible with Windows XP. Not bothering to look at the instructions, I downloaded the driver to my laptop, clicked on the 32-bit driver, and let the setup routine do its thing. Using foobar2000 as my music-player software, I got no sound. Then I remembered that my laptop has the 64-bit version of Windows 7. I installed the 64-bit driver, went to foobar2000’s Preferences menu, and selected the ADL Esprit USB DAC output. Music! The next day, however, my laptop crashed -- I saw the Blue Screen of Death. It seems that the 32- and 64-bit drivers were in conflict with one other. I uninstalled all of the ADL Esprit’s drivers and reinstalled only the 64-bit. Finally, my computer was happy, and I had music. Moral: Read the instructions . . . or get a Mac. The ADL Esprit could be all the preamp you need. You can hook up two line sources, two digital sources, and a computer via USB, for a total of five playback devices -- more than enough for most systems. When I listened to high-resolution tracks -- such as “Stuck in a Moment You Can’t Get Out Of,” by the a cappella group the Persuasions, from the Head-Fi/HDtracks sampler Open Your Ears (24/96 FLAC, Head-Fi/HDtracks) -- the ADL Esprit produced as wide and deep a soundstage as I’ve heard. This was undoubtedly due to its extremely low noise floor, excellent channel separation, and transparency. The track begins with one voice in the left channel; then the rest of the group gradually occupies the rest of the soundstage. Uncannily, the ADL Esprit was able to reveal the lead singer as standing front and center, the other singers layered behind him. I could find no fault with the ADL Esprit’s sound quality -- it was as transparent as any other preamp, integrated amp, or DAC I had at my disposal. But a couple of things would make me hesitate to use it as my everyday preamp: it has no remote control, and its volume control is too sensitive. I constantly fiddle with the volume -- a remote is mandatory. As well, only a small adjustment of the Esprit’s volume pot produced a big change in loudness level, especially at the bottom end of the control’s travel; finding the right level was a bit tricky. But overall, the Esprit performed brilliantly as a preamp. Unlike other USB DACs I’ve reviewed, the ADL Esprit is not made for portable use. Its USB section is bus powered, but it needs AC power to drive a set of headphones, which is probably how most buyers will use it. This makes the Esprit best suited to a desktop or living-room system, where it can be placed within arm’s reach. It’s compatible with headphones with nominal impedances of 16 to 600 ohms; in short, it should be able to drive nearly any pair of ’phones to loud levels. My easy-to-drive Grado SR100s played at satisfying levels with the Esprit’s volume knob advanced only a little over 25% of its range, so I’m sure the ADL won’t run out of gain with most headphones on the market. On the other hand, that volume control is as much an annoyance with headphones as with speakers: a small change in setting resulted in a big swing in volume. One thing that struck me while wearing my Grados was how quiet the ADL Esprit was with no music playing -- a testament to good design. I heard no hiss until I’d turned the volume control up as far as it would go. I really appreciated the Esprit’s low noise floor when I listened to quiet passages of recordings with wide dynamic range, such as “Ganges Delta Blues,” from V.M. Bhatt and Ry Cooder’s A Meeting by the River (24/88.2 FLAC, Water Lily Acoustics). Cooder’s bottleneck guitar and Bhatt’s mohan vina, an Indian stringed instrument, sounded detailed yet smooth. The dumbek and tabla were powerful; each thump, even in rapid-fire percussion passages, was distinct and forceful. Through the ADL-Grado combo the music was palpable, with detail and resolution as good as I’ve heard. To hear what the Esprit could do with bass-heavy tracks, I played “Temple Caves,” from Mickey Hart’s Planet Drum (16/44.1 FLAC, Shout Factory). With this combination, the lowest notes were lacking, due only to the fact that the Grado SR100s are incapable of reproducing the deepest bass. This was in sharp contrast to my usual speaker rig, with two subwoofers, which brings this track to life, rattling my walls and ceiling. Like its performance as a preamplifier, the ADL Esprit was brilliant as a headphone amp. When I evaluate a component, I look at the different ways I might use it. I upgrade my system often, so I like being able to easily swap out components until I find one I like. The ADL Esprit can certainly act as a standalone DAC. 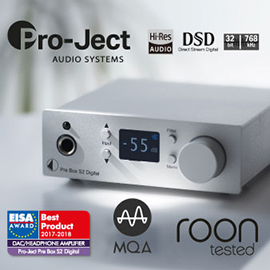 In that role, the Esprit could be the main DAC, allowing switching between my digital sources, connected via the analog line out to a preamp. This arrangement would also add a headphone jack to a preamp that didn’t already have one. If your existing preamp or integrated amp has its own home-theater bypass, as does the Bel Canto C5i, then you can connect the ADL to that and use the Esprit’s volume control -- a blissful arrangement if ever I saw one. Hooked up this way, the ADL was as transparent a digital source as I've had in my system. Gwyneth Herbert’s voice in “My Narrow Man,” from her All the Ghosts (24/44.1 FLAC, Naim), was solidly at the center of the soundstage, with the piano, bass, and drums spread out behind her. Through the ADL Esprit's DAC section, this recording sounded dense and present -- as if she were standing there in my room, singing to me. During my time with the ADL Esprit, three different types of USB DACs passed through my system: Bel Canto Design’s C5i integrated amplifier with built-in DAC ($1895) and e.One DAC2.5 ($1995), and Cambridge Audio’s Stream Magic 6 upsampling network music player and preamp ($1275). The DAC chip used varied with the model: Wolfson WM8740 (Bel Canto C5i, Cambridge), Burr-Brown PCM1796 (Bel Canto DAC2.5), and Wolfson WM8716 (ADL Esprit). Evaluating DACs, I found myself splitting hairs; on paper, the higher signal/noise ratio of Wolfson’s WM8740 makes it better than their WM8716, but I couldn’t hear any difference. The differences I did find were in features and convenience. Cambridge’s Stream Magic 6 earned a permanent home in my system for its networking features and iPod app -- I don’t have to wire up my laptop to it (although I can if I want), and I can browse my music collection, stored on an NAS, from my iPod Touch. The Bel Canto DAC2.5 is also versatile, its home-theater bypass allowing it to be easily incorporated into a surround-sound system. With its five digital inputs, I can’t imagine that anyone would find the DAC2.5 lacking. The drawback is that it has only one analog input -- if you have more than a turntable (with a suitable phono preamp), then the ADL Esprit might work better in your system. In fact, the Esprit is quite versatile and functional with its combination of two analog inputs, three digital inputs, and headphone and line output. The only real letdown is that the ADL lacks a remote control. But this shouldn’t bother younger folks, and it wouldn’t be a concern with a desktop system. The ADL by Furutech Esprit is priced in the right neighborhood for a great-sounding USB DAC, and the facts that it also includes a preamp and headphone amp add a lot of value. The ADL Esprit is best suited for use in a computer desktop system, and excelled in that role. In fact, when it was hooked up to my computer, I was never so excited to get to work, knowing that I had a great music system to listen to through my headphones. As your system grows, you can pair the Esprit with a power amp for a killer budget two-channel rig. 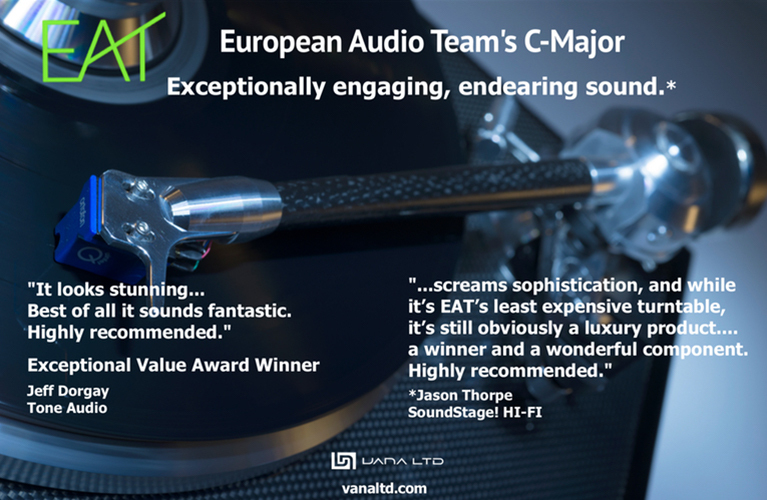 The combination of versatility and good sound will mean that the Esprit could find a home in many a burgeoning high-end, high-value system.